Don’t believe everything you read on the Internet just because there is a picture with a quote next to it. These wise words have been attributed to Abraham Lincoln (or so the popular Internet meme goes) in order to fully illustrate the need for good old-fashioned online fact checking. Snopes.com recognized this need early on and quickly become one of the first fact-checking websites used by thousands of people each day. But according to Poynter and other sources, although this American fact-checking entity has now regained control of its hosting and majority control of its parent company, an ongoing legal battle over its ownership isn’t likely to resolve anytime soon. Last summer, a legal skirmish began when Proper Media, which initially did some development work for Snopes on contract, filed a complaint against Bardav Inc. — the company behind the debunking site — for what it called “a lengthy scheme of concealment and subterfuge to gain control of the company and to drain its profits.” Bardav filed a cross-complaint alleging that Proper Media was keeping its site hostage. 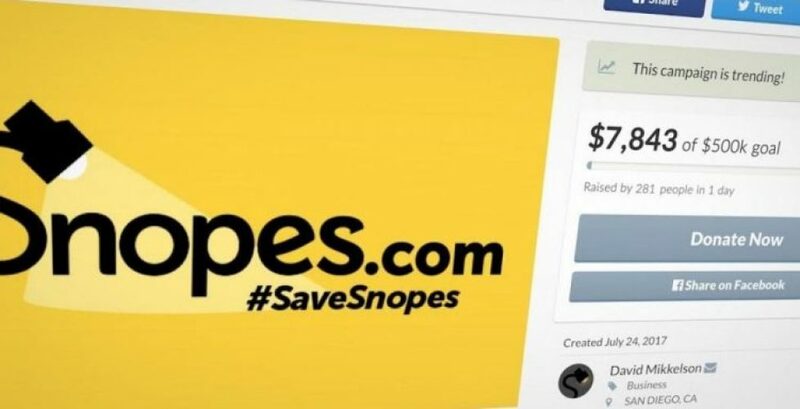 Now, Snopes is asking its readers to contribute $2 million so it can stay afloat. Even when checking the world’s facts, there can be disputes that can really disrupt things. They’re everywhere! And when they show up and start messing things up for your business, call on the always factual and accurate litigator Dean Sperling who will work to resolve YOUR matter with YOUR best interests in mind.